The Gold Coast is all about the outdoors and with great weather all year round, it is very hard to keep us inside. While the GC may be renowned for its theme parks and glitter strip, there are plenty of other hidden treasures that will keep kids busy and families enjoying quality time together. Get up close and personal with these larger-than-life birds and experience first hand how their beaks can hold more than their belly can. In what has become a Gold Coast tradition, the pelicans congregate every day at 1:30pm outside Charis Seafood in Labrador to eat their fill of leftover fish. This is a great photo opportunity and coincides perfectly with lunch time for a fish and chip picnic to remember. 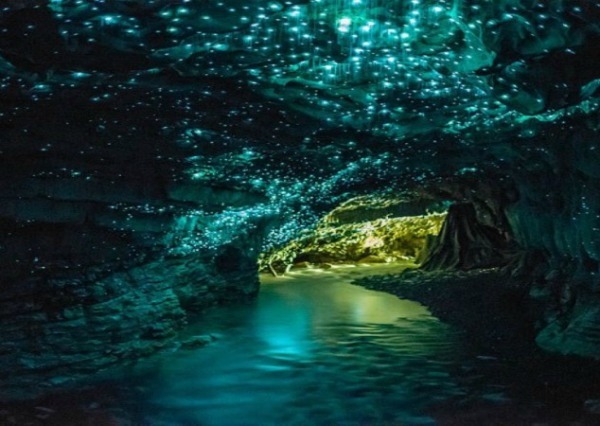 There are only a few places in the world where you can experience glow worms and we boast two of them on the Gold Coast. Leave technology and distractions behind and experience a spectacular natural wonder that the kids will be talking about for years to come.The Glow Worm Caves at Mount Tamborine are kid friendly with paid guided tours or The Natural Bridge at Springbrook National Park is a great, free option for families with older kids. The glow worms are only visible after dark but it is worth coming before sunset to experience the magical waterfall and rainforest surrounds. For a museum of a different kind, try Jellurgal Aboriginal Culture Centre. It’s located right at the foot of the Burleigh Headland National Park, a site rich in Aboriginal heritage. You can visit the centre to get an insight into the significance of the area before walking around the headland or taking a guided tour. 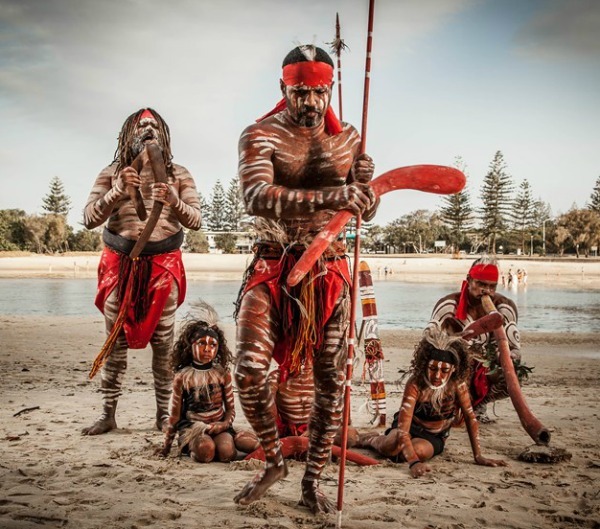 Let the kids experience a live Aboriginal dance performance and traditional fire starting demonstration or hear a Dreamtime story and join in an ochre anointment. There are surf schools dotted right along our beautiful beaches but Currumbin Alley is the pick of spots as a safe, easy and stunning location to learn to surf. 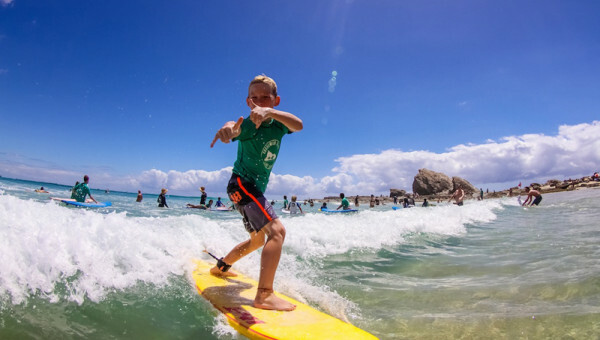 One of the best surf schools around is the family owned and operated Currumbin Alley Surf School. Their Frothing Grommet program for kids aged five to 16 is a consistent hit on the school holidays and they also offer an eight-week program to take kids from beginner to confident and safe in all conditions. 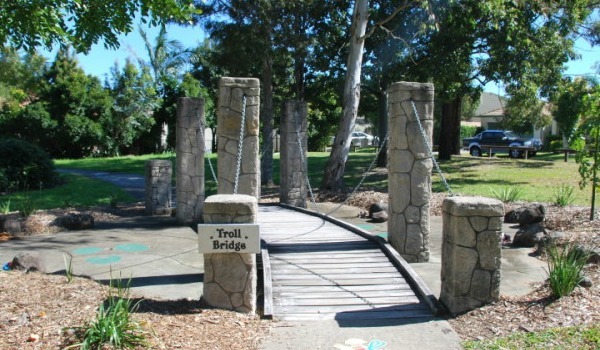 An enchanting playground dedicated to toddlers and preschoolers, Faerie Park is a free, community playground in the quiet suburbs of central Gold Coast. There are brightly coloured toadstools, a wishing well, troll’s bridge and goblin’s cave to set kids’ imaginations alight as well as standard playground equipment and lovely grounds for a picnic. 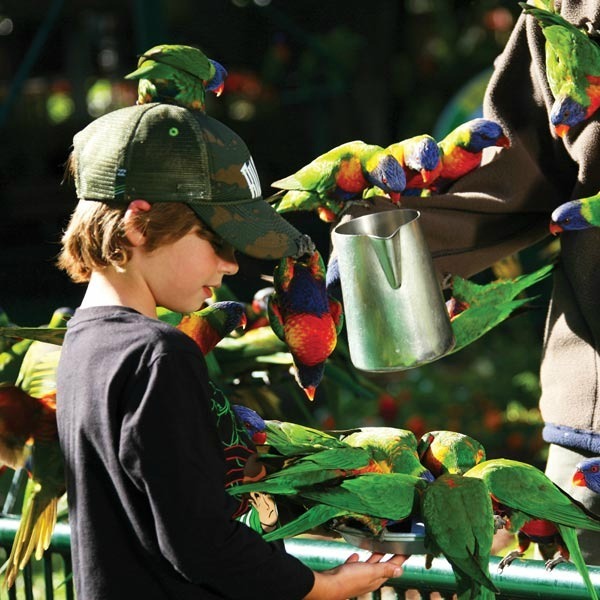 Locals know it as the ‘Bird Sanctuary’ thanks to the hundreds of brightly coloured lorikeets who arrive at 8am and 4pm daily for a feed and have done so for over 60 years. It is free to join in the experience and makes a great photo opportunity, you don’t even have to pay admission. 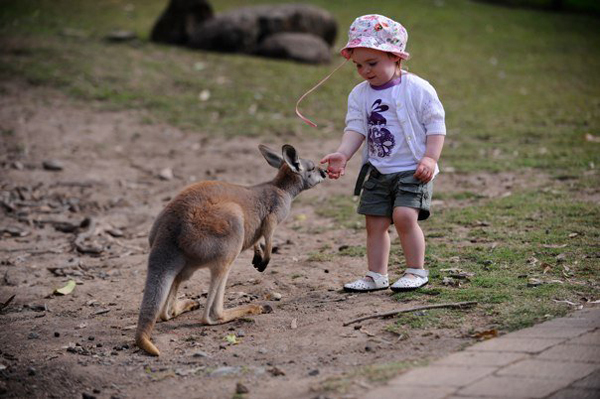 It is definitely worth entering Currumbin Wildlife Sanctuary itself though, there are fantastic playgrounds, up-close encounters with all sorts of Aussie animals and exciting and educational entertainment. My favourite time to go is Friday afternoons to catch the Air Asia Free Flight Bird Show, Aboriginal Dance Show and then stay on to feed the lorikeets and experience the Sanctuary Markets. 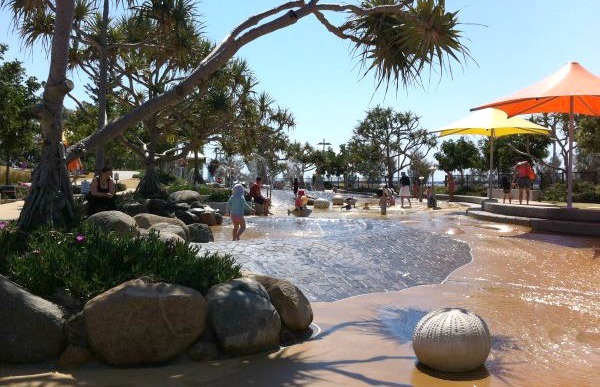 The Broadwater Parklands is the mecca of all free outdoor kid entertainment on the Gold Coast. Across from Australia Fair Shopping Centre at the northern end of the Coast, The Broadwater Parklands extends for kilometres and has something for every interest in every season. Check out the rockpools in summer (pictured above), mini cycling track, flying fox, giant trampoline pillow and extensive parklands. An important note to keep in mind is that the rockpools are closed on Tuesday mornings until about midday for cleaning. Awesome park options continue at the southern end of the Gold Coast with the multipurpose Palm Beach Parklands. 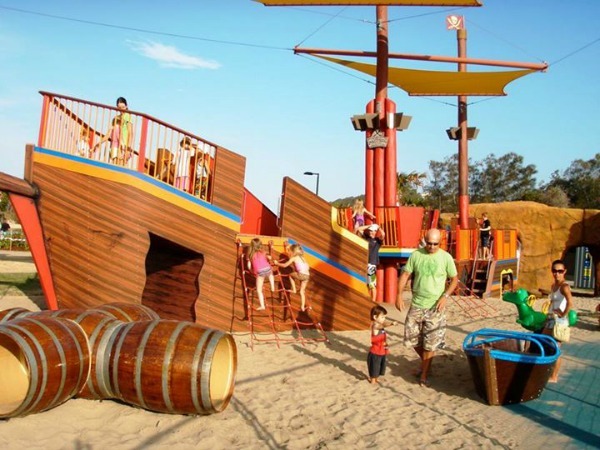 There is a huge field that often hosts community events, a pirate themed playground, a sheltered swimming cove, walking tracks and a kid-friendly cafe. Dune Cafe has a great breakfast and lunch menu and opens on to the field so kids can run around while keeping a safe distance from the carpark and water plus there is a kids play area inside. If you are coming in summer, arrive early to get a good park. Mount Tamborine is a quaint town overlooking the Gold Coast and boasts the best of the ‘green behind the gold’. Explore Gallery Walk with charming stores and the world’s best fudge shop, then spend the rest of the day at Thunderbird Park. 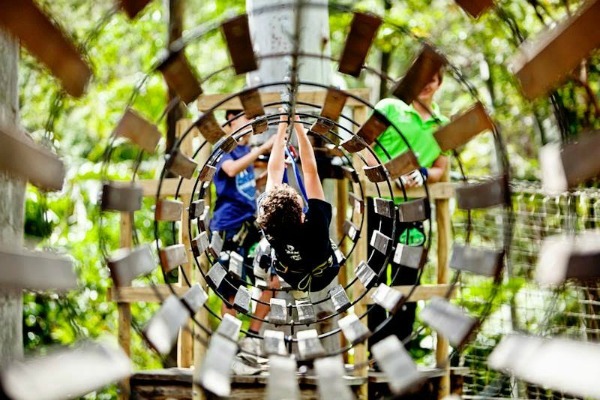 The Tree Top Challenge high ropes course (pictured above) and laser skirmish are a favourite with older kids, while thunderegg fossicking, horse riding and the brand new championship mini golf are fun for the whole family. Go for the day or stay for the weekend in a range of accommodation options from camping to the self-contained Cedar Creek Lodges. Mrs Red’s Art Room is a magical place for budding artists and those who just need to expend some creative energy. You can go in store at any time of the week to purchase art materials and get inspiraton but Friday and Saturday is when it really comes alive for kids. Every Friday there are walk-in art activities for only $5 including sand art, painting, portrait collage and more. 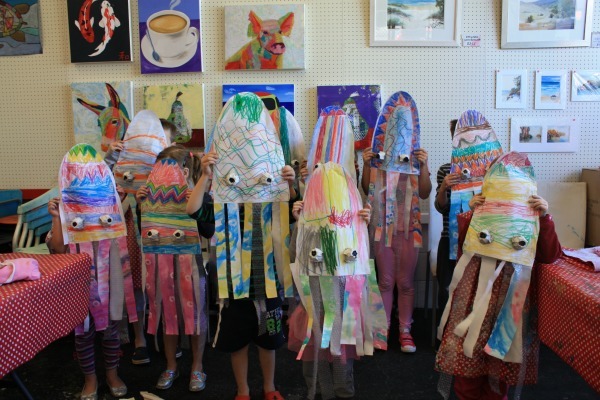 On Tuesday and Thursday afternoons, tweens and teens can bring their own projects into the studio to work on. There really is enough here to keep the kids busy for hours. The Gold Coast is all about alfresco dining, which is great for people-watching but a bit too close to the traffic for families with young children. 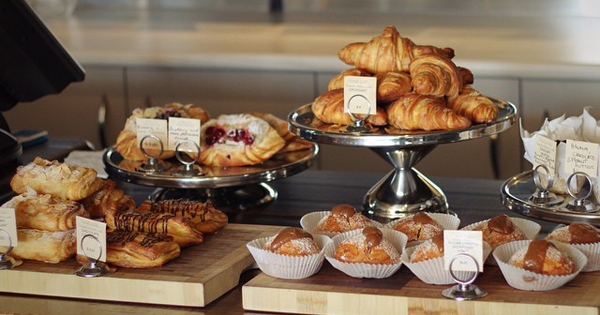 These kid-friendly eating establishments will ensure you can enjoy a great meal while your kids stay safe and occupied: in addition to Dune Cafe, try Vivré a Vie, one of Australia’s best artisan bakeries located centrally in Mermaid Beach. It makes for a lovely cafe playdate with great coffee, gourmet organic breakfast, lunch and bakery treats plus it has a fenced-in grass area for kids to play in. Dining out with kids is done right at Cav’s Steakhouse in Labrador. 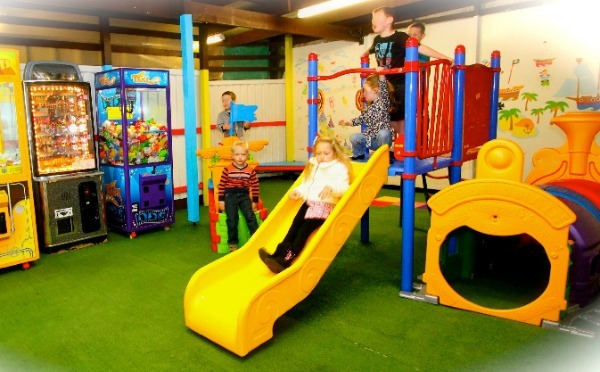 This Gold Coast institution has specialising in steak and family-friendly dining for 30 years now and there is a dedicated indoor playground so the kids can burn off some energy while they are waiting for their meal. We get a bit lost for things to do up here in the sunshine state when it actually does rain so keep these activities in your back pocket just in case: King Tutt’s Putt Putt is indoor mini golf that has to be seen to be believed, Iceskating at Planet Chill is part of Paradise Resort, the Gold Coast’s best family friendly resort, trampolining has arrived on the Gold Coast with Air Factory being the pick of the bunch and indoor play centres like Abrikidazzle at Southport or Doodlebugs at Miami are sanity savers when outdoor play just isn’t an option for younger kids.